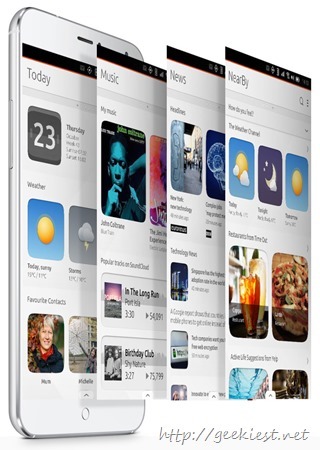 Ubuntu Phones have been launched a few weeks back as well, but they have never stirred up a storm. Canonical the company behind Ubuntu always dreamt of launching a flagship killer, exquisite Ubuntu smartphone but their crowd-sourcing campaign stopped dead in its tracks and failed. The previous phones from BQ one of the Spanish OEMs were always rebranded and mid range Android handsets. Meizu also launched a device previously but it was a lower range handset as well. Meizu MX4 is a more higher end flagship type device but is unfortunately an android phone, reworked with Ubuntu OS installed. Now this device will be sold via an invite system and unfortunately in the European Union only. Now Chinese developers have had access to this phone since a few months back, but now it is being launched in the EU. Meizu will also launch an origami wall which will allow users to get invites, through an interactive system. The price will be 299 Euros only. Ubuntu phone does need to break out in a big way. What I feel is that Ubuntu devices have a lot of potential in them to go big and even over-shadow Android. But what they need is proper marketing and launch. A way to target the masses. 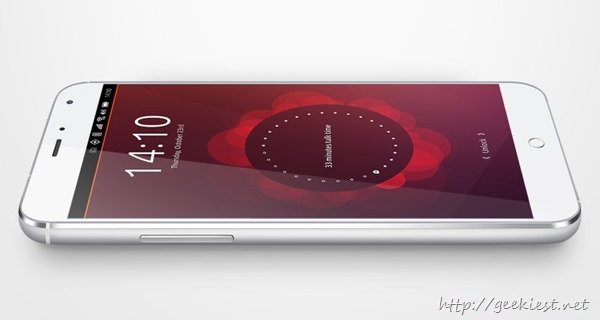 MX4, Ubuntu smartphone from Meizu.